This strong, durable folding portable audience seating won’t leave marks on gymnasium or auditorium floors. You can use them anywhere. The special X-frame construction prolongs the life of the chair and provides even weight distribution for enhanced comfort. The exclusive Duraflex action assures level seating on uneven surfaces — and the chair frame automatically returns to its original shape. 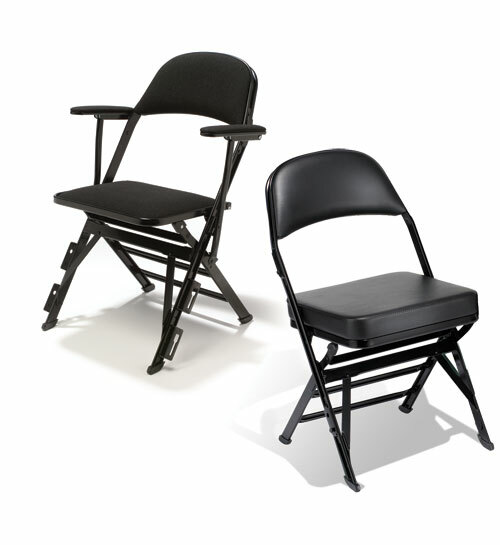 High-Density Portable Audience Chairs come in a wide variety of configurations and sizes. Please call your Wenger representative so that we can understand your needs in order to provide the best solution and an estimate to help you budget your investment.